Call and mention either one and get a discount. These are only valid if you call before 6 pm, though, so call quickly! What Pests Are Giving You Problems? We take care of all these bugs and so much more (remind me about the time I had to catch a groundhog that was tearing up the flowers!). We are Nest Pest Control in Baltimore. We provide pest control services. Getting rid of bed bugs requires more than just getting a can of bug spray. Bed bugs are all over Baltimore and we are the local bed bug expert exterminators! If you’ve seen a cockroach in your house, you know there are hundreds more waiting to come out when the lights turn off. We completely exterminate cockroaches from your home. Are You Looking For Rodent Control? Mice, rats and squirrels love to live where we do. That’s unhealthy for us. So, Nest Pest Control manages rodent populations all over Baltimore. 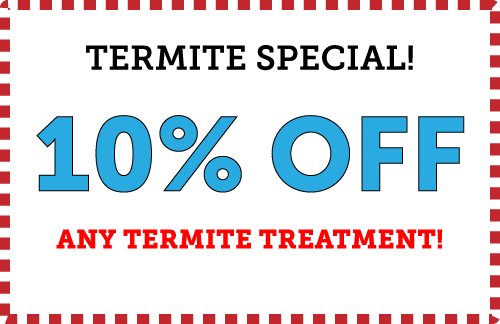 Do You Need Termite Control? 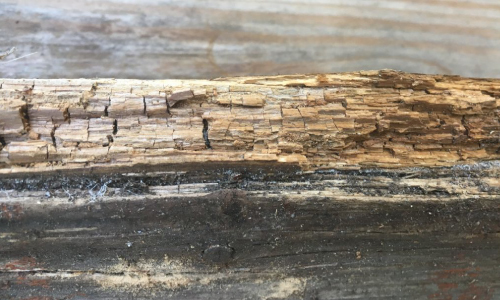 Termites are pests that can really do a lot of damage. We control termites in a tent-less application that makes it so they stay away from your house! You Need A Pest Control Expert. Don’t you hate mosquitos? They bite, they carry disease, they are really annoying! We can help control mosquito nests and populations around your home!. Unwelcome guests at picnics and major pests in the kitchen, ant control is needed more and more in Baltimore. We provide a comprehensive approach to ant control in your home or garden. Getting rid of black widows, brown recluses and wolf spiders can all be done with proper treatment and further monitoring. Nest Pest Control gets rid of spiders. Bees are important pollinators and are struggling right now. But they can be pests that need removal. We get rid of them and send the colony to be more productive elsewhere. We also eliminate wasp, hornet and yellowjacket nests. Pest Control Is What We Do. We Keep Pests From Spreading Diseases, Destroying Your Property & Bringing Down Its Value! If you call now, you could be treated today! We use safe yet very effective treatments to get rid of rodent and insects that can destroy your house. We make it easy to take care of the problem, fast. When you call, you will speak with James. James owns the company and takes care of all his customers. He will set up a time to examine and treat your home or business for these bugs. Nest Pest Control has well over a dozen years of experience controlling pest problems in the Baltimore-DC area. We are licensed and insured and continue to study pest control techniques to keep on top of the industry. Our specialty is bedbug control, termites and roaches. Call Nest Pest Control Today! 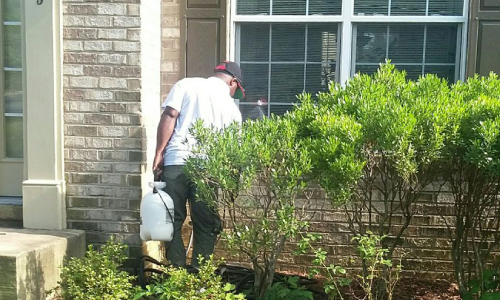 You need a pest control company that will work hard for you and give you great service. And you definitely need a company that can get rid of all the bugs, rodents and other pests in your home. We can do that for you! We provide a fantastic customer satisfaction guarantee! We use eco-friendly products: safe for pets and kids. We can safely remove bees without killing them. We only use the safest measures of pesticide application. We will give you a free estimate of what it should cost to get rid of any pests you may have at your home. We will also do a custom check to make sure we tackle all pest problems that might be facing your home. We are Baltimore’s choice pest control company for a reason: we completely eliminate the pests from your home. You Need To Get Ahold Of Nest Pest Control. Don’t Just Take Our Word For It, Our Customers Speak Their Minds! Our customers are some of our favorite people! In fact, we really try to make their day whenever we remove pests from their home or business. In return, you make our day with kind words affirming that we did a good job as your favorite Washington DC pest control specialist. Instant Service! Came to fix my issue with a bee hive as soon as I called! Did the job that no one would do and did it during a holiday weekend! Pricing was great as well! Thank you for the professionalism and quick service! 5 STAR COMPANY! Fred is great! We moved from California and our house was infested with spiders called him the next day and he came by that same day and sprayed the house. I really appreciated him coming out quick. Called other companies and they were unable to come out on the same day. Thanks Fred for your service!!! We are going to get monthly services with Nest Pest Control from now on! Excellent service professionalism is 5 star. This company is highly recommended and attentive to my needs. The service is timely , professional, and most important, my mice problem is evidently resolving!!!! This is just the first visit! Nest Pest Control came out and treated for mice. We had a bad problem with them. The tech came out and found all of our entry points where the mice where coming in. They closed all of them to make sure that they would not be able to return through them. We have not seen ONE mouse since the treatment. Nest Pest Control did a great job! Can't Call? Send Us A Text Message To The Same Number!